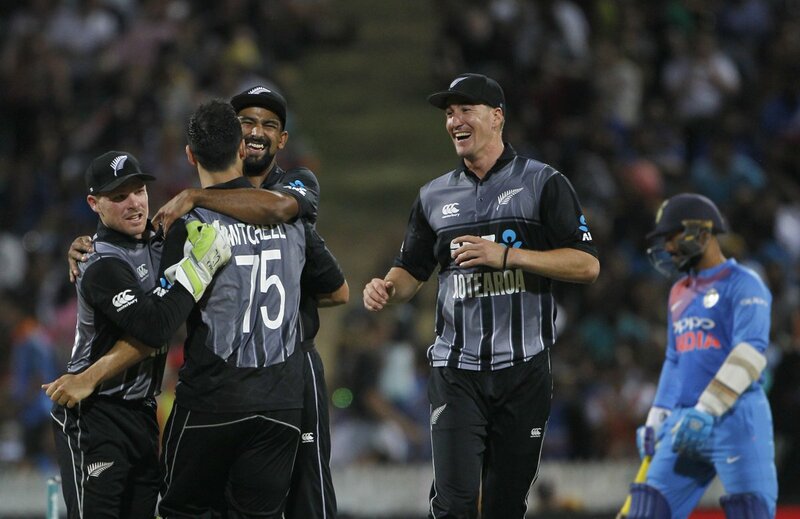 Both the Indian Men and Women teams ended their tour to New Zealand with a defeat in the final Twenty-20 Internationals of the three-match series at Hamilton on Sunday. In reply, Team India managed to make 208 for 6 in the allotted 20 overs. The end of innings cameos from Dinesh Karthik and Krunal Pandya after Vijay Shankar and Rohit Sharma’s brilliant starts could not help India reach the 213 run total. Mitchell Santner and Daryl Mitchell bagged 2 wickets each. Munro was named man of the match, while Seifert was adjudged player of the series. New Zealand swept the series, 3-nil. Opting to bat, the hosts put 161 for 7 on the board, riding on opener Sophie Devine’s 72. In reply, Smriti Mandhana’s 86 off 62 balls went in vain as India fell short by just 2 runs, making 159 for 4 wickets. Sophie, who also scalped 2 wickets, was named player of the match. Prior to the T-20 series, the Indian Men’s team had recorded its biggest ODI series triumph in New Zealand, after winning their first Test and ODI series in Australia.